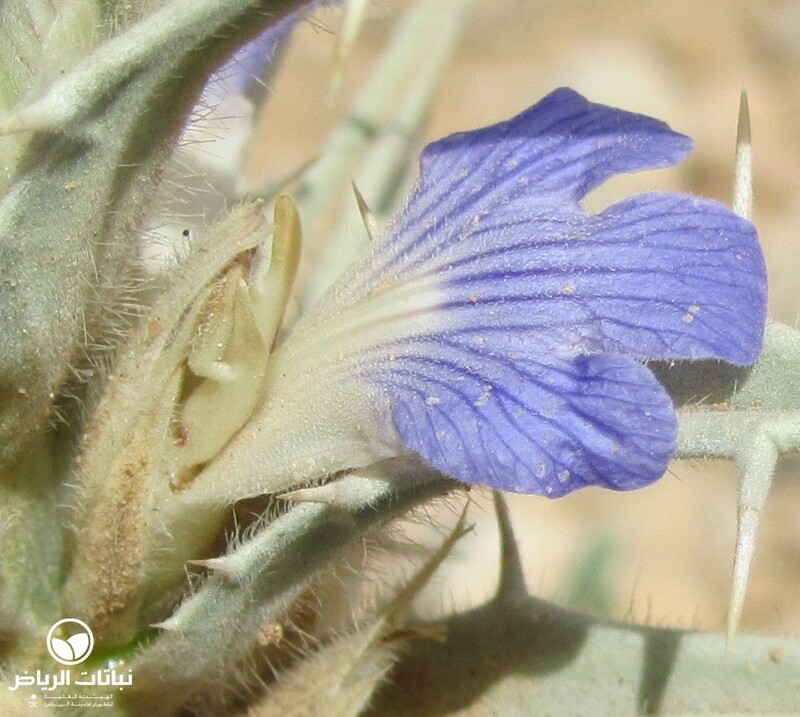 Blepharis, or Eyelash Plant, is indigenous to Saudi Arabia. The common name is naghi, or shawk al thub. 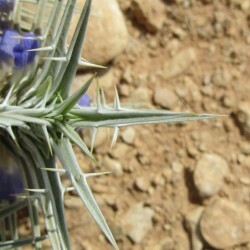 Blepharis is a small, thorny, fast-growing perennial herb. 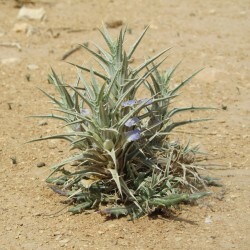 The branches are prostrate to the ground, and the whole plant reaches a maximum height of 30 cm. Each branch is completely covered with thorny, silver-green leaves. 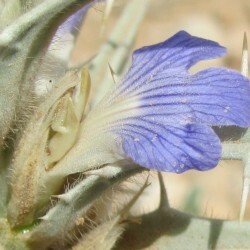 The blue flowers appear in spring, developing later into capsule fruits. Seeds are recommended for success in propagation, and these should be harvested in summer and autumn. 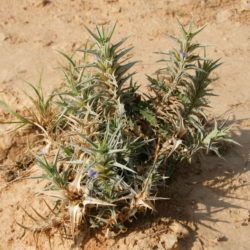 B. ciliaris has a tap root and grows in stony gravel deserts. 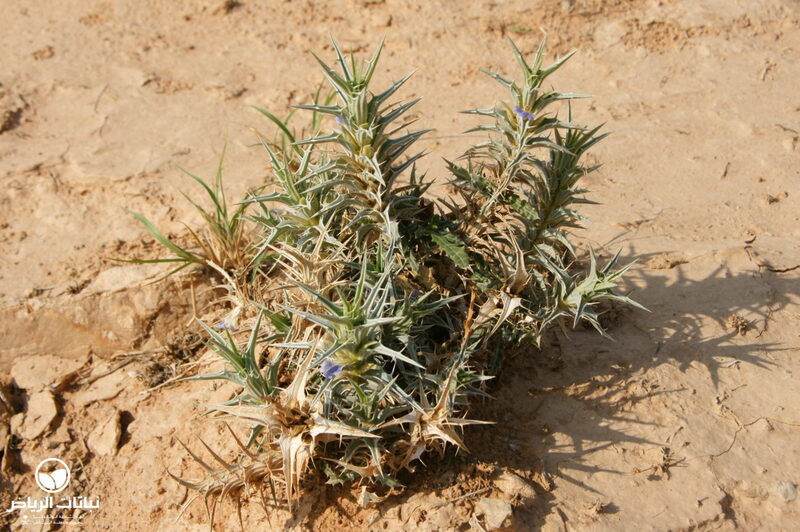 In Arabia, it is also used as a medical plant. The woody parts of the plant are burned and mixed with antimony to make a black powder, which is applied to the eyes as a cosmetic. 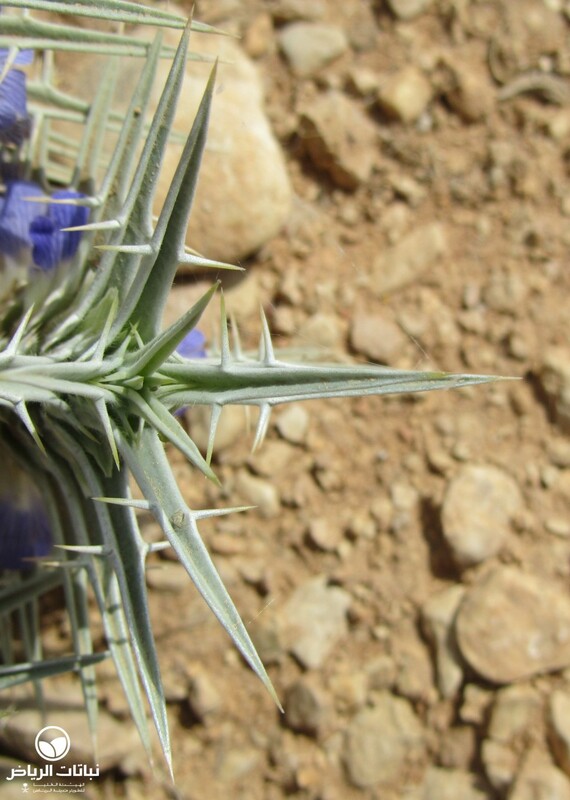 This plant has an attractive structure, making it useful for natural planting schemes. 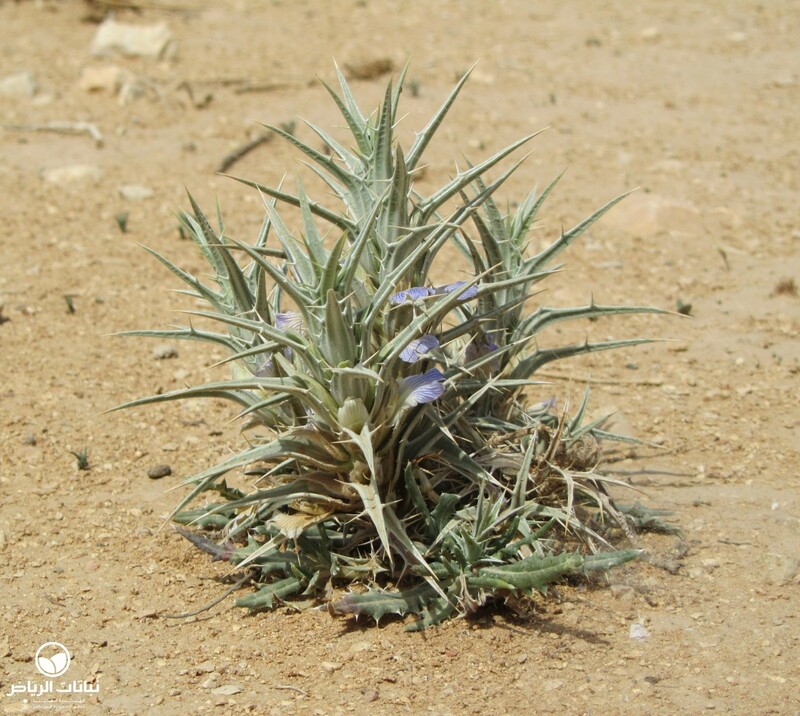 It can be used as groundcover or in rock or steppe gardens in extensive landscape schemes. Because it is indigenous, maintenance is very low and only dry parts of the plant need to be removed from time to time.